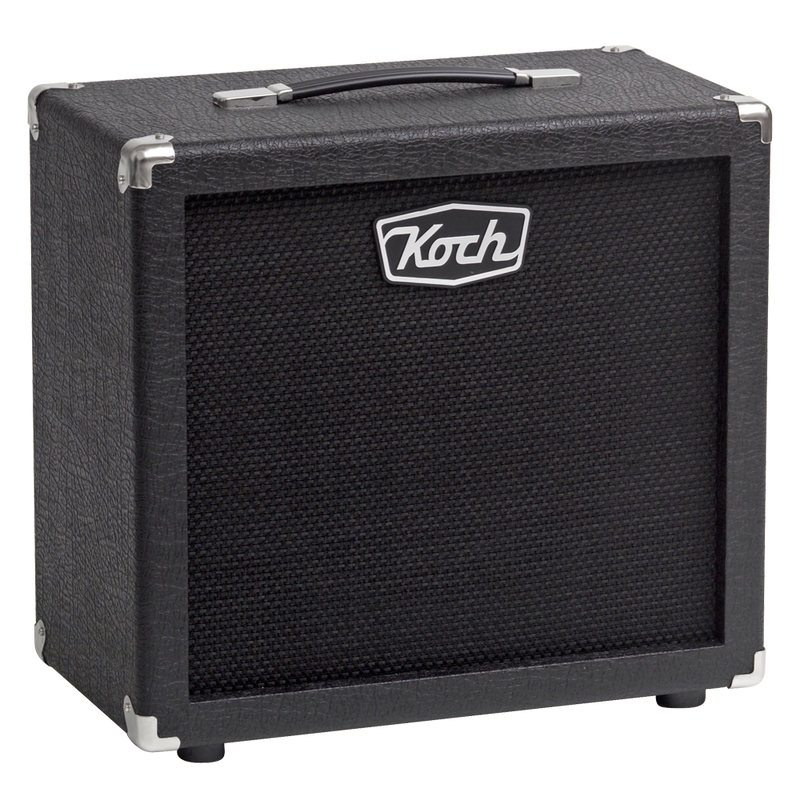 This compact, closed-backed & ported speaker cabinet combines excellent tone with an increased low-end response. 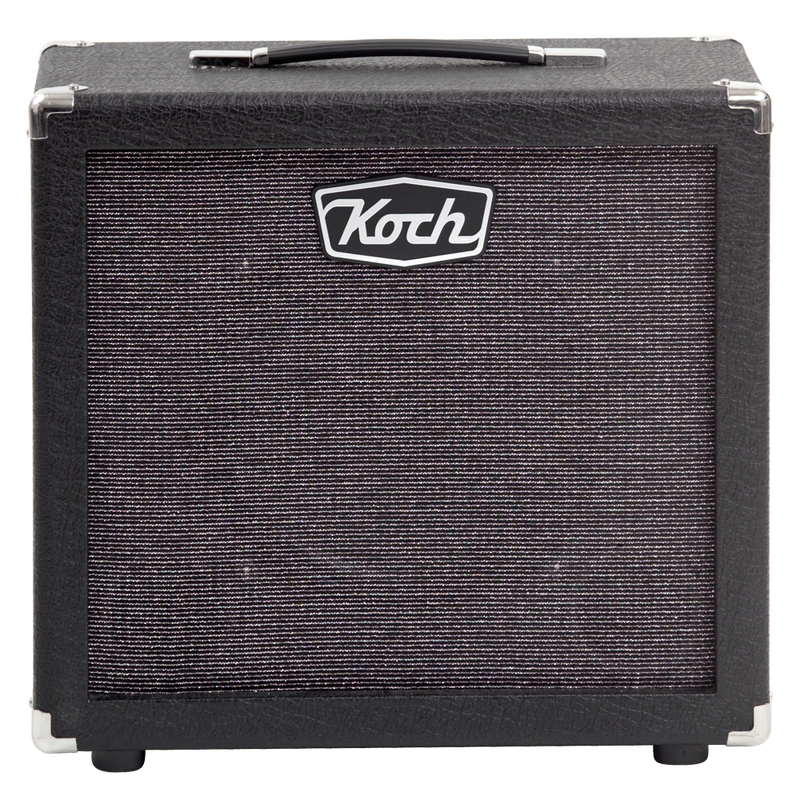 It was developed as an extension speaker cabinet for guitar amps such as the Twintone and Studiotone combos and heads. The caginet is available with Silver and Black grillcloth. 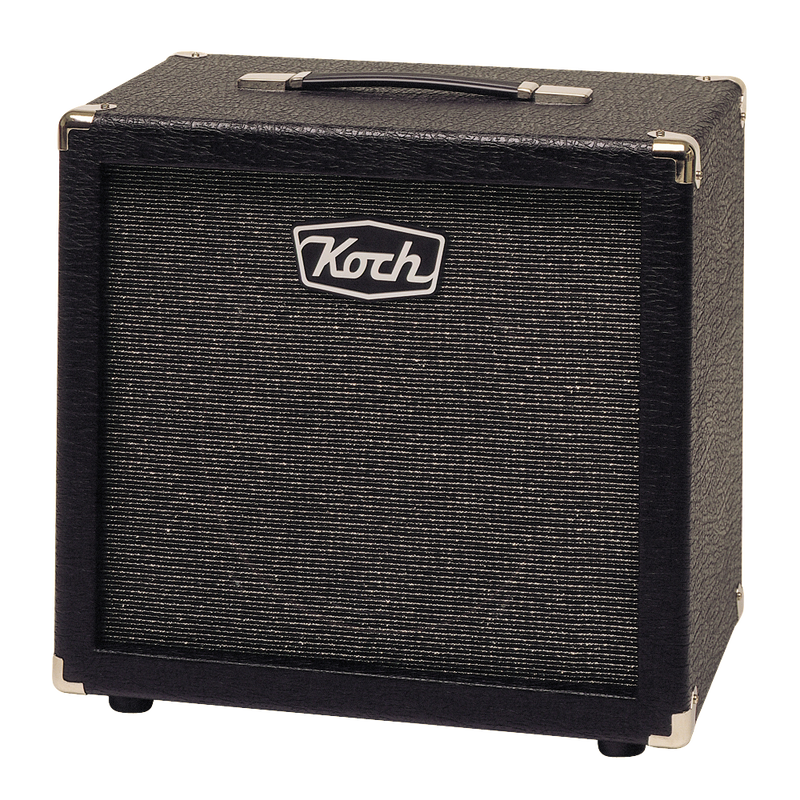 After exhausting research, tests showed that the materials used for the shell and baffle are a very important factor in the overall sound quality of a cabinet. For that reason, the shells of our cabinets are made of the best quality 11-layer Birch Plywood constructed with wood-to-wood joints, while the baffles are made of vibration-free MDF. 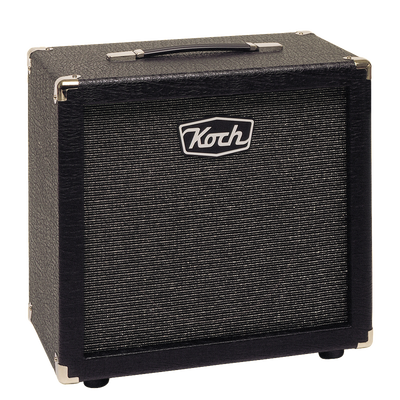 This combination produces a tight low end with colourful mids and smooth highs, exactly right for guitar-sound reproduction. Our cabinets are equipped with the best available hardware: thick, quality vinyl; nickel plated corners, amp strips and screws, metal bar handles, removable castors and rubber stack feet. 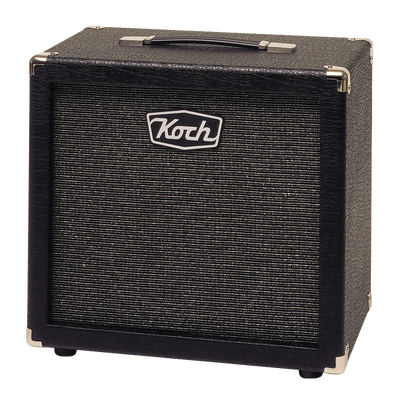 All our combos and cabinets are standard equipped with Koch speakers. In our never ending quest for perfection we realized that not only the amp design but also the speakers are an essential part of the total sound experience. 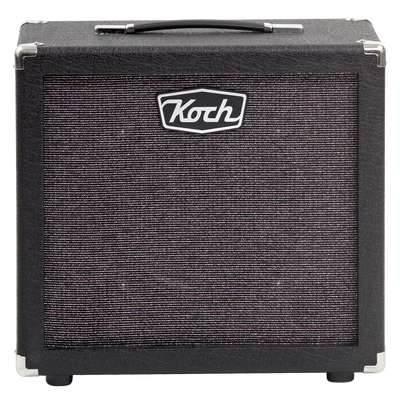 Currently we have three models: the VG12-90, the VG12-60, and the VG10-25. 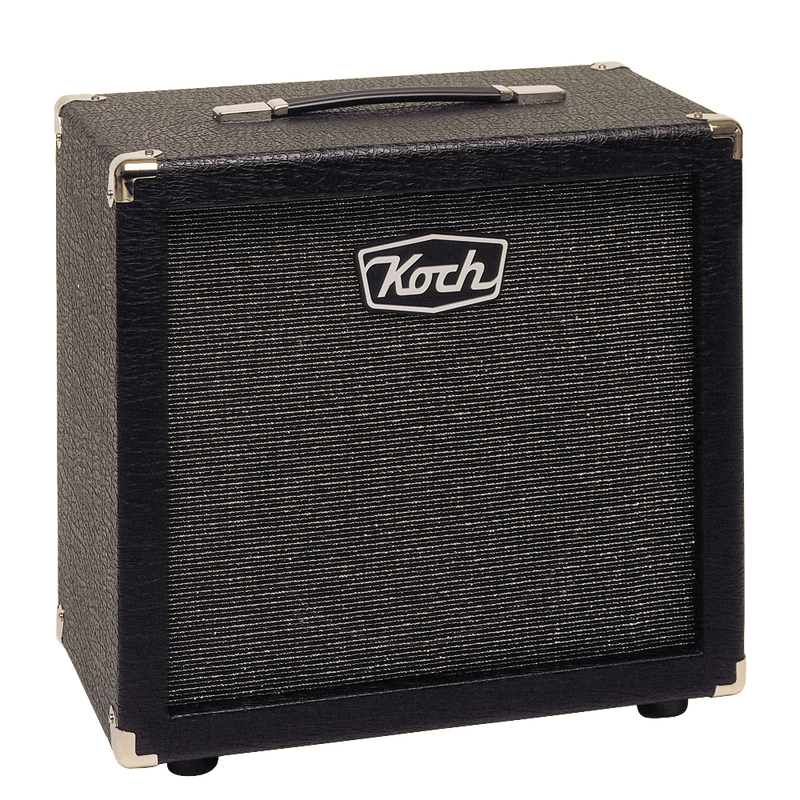 The VG12-90 used in this cabinet is already known for its sweet tone, bell-like highs, and astounding bass response. At both low and high volume levels, the VG12-90 excels in all music styles. 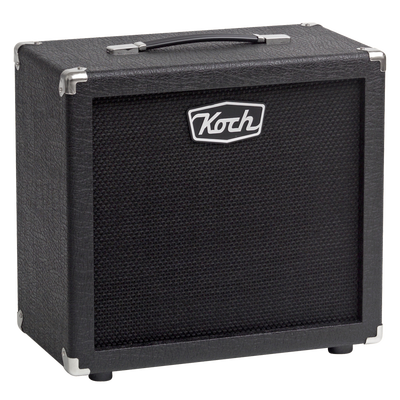 Our own design speakers are the perfect match for all our amplifiers.